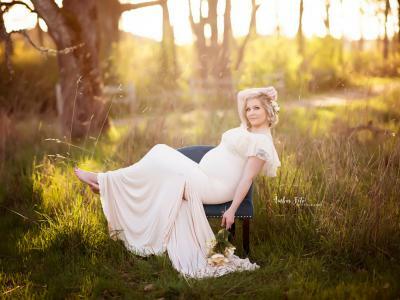 When it comes to maternity photography - well, any kind of portraiture - the goal is to make your model look amazing. There are a million ways to help yourself do that, too. But sometimes you just need a quick tip to help you get your creative juices flowing or you need an easy idea that has tons of visual impact. I've got just those kind of tips below! Framing your subject is an easy portrait photography trick that helps direct the viewer's gaze toward the model. 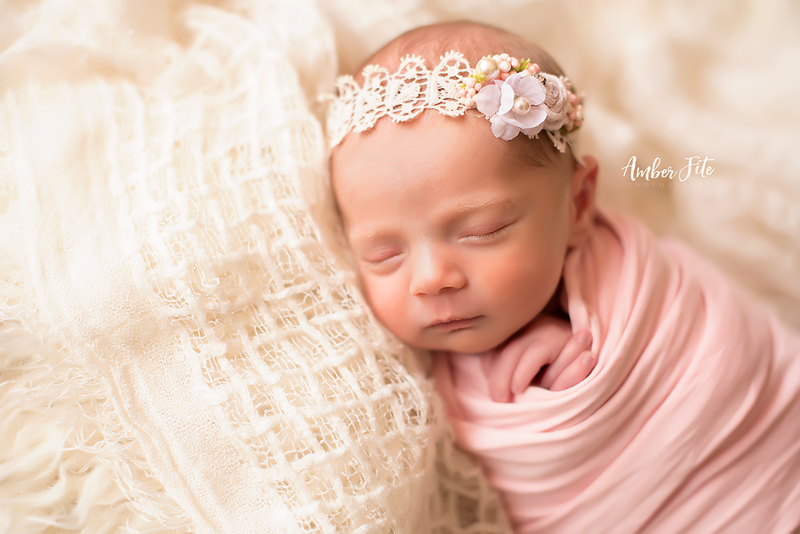 This trick works with any type of portraiture, including newborn photography. Looking at the image above, notice how the chair perfectly frames the tiny subject but does so in a way that's not in-your-face. 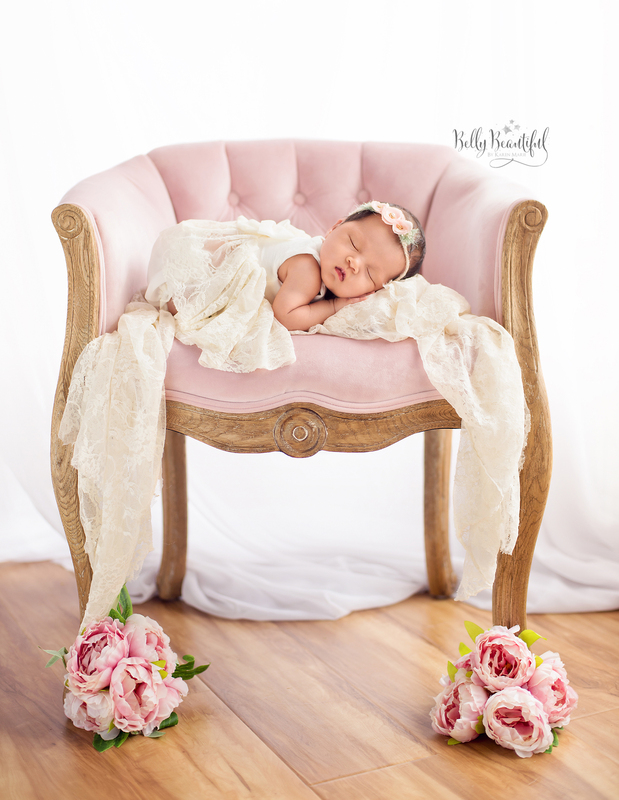 The sides and back of the chair cradle the baby, and the strong vertical lines of the chair's legs help move our eyes up towards the newborn. 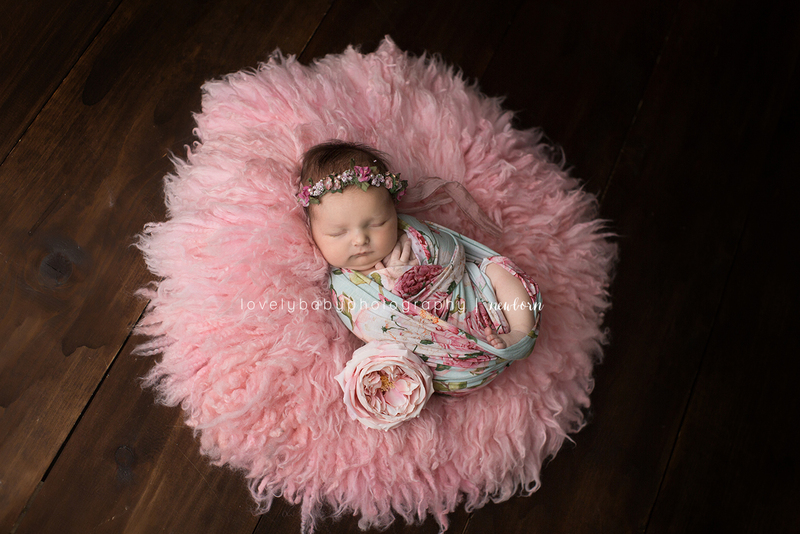 In another example, note how the bright, fluffy, pink pillow serves to frame the baby. Again, even though the pillow has a strong color and texture to it, the fact that it's a frame within a frame isn't overly noticeable. 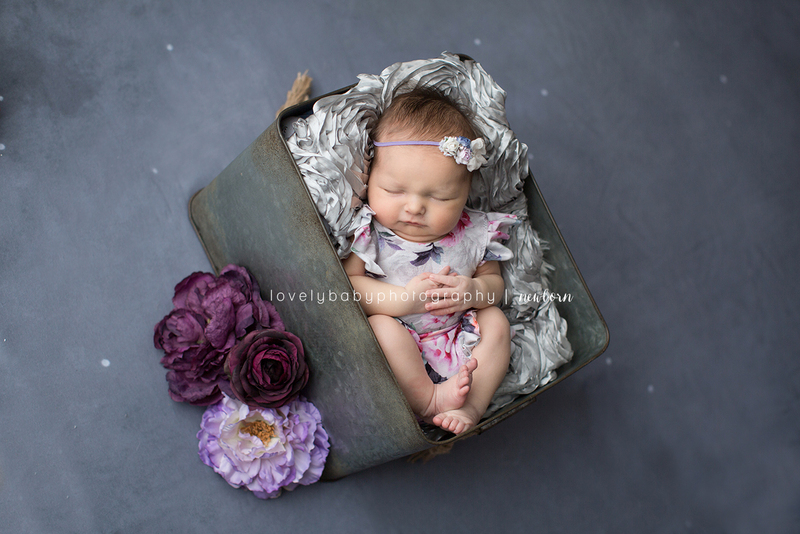 In this case, the color and texture of the pillow contrast nicely with the baby's wrap and floral headband to create a dynamic viewing experience. 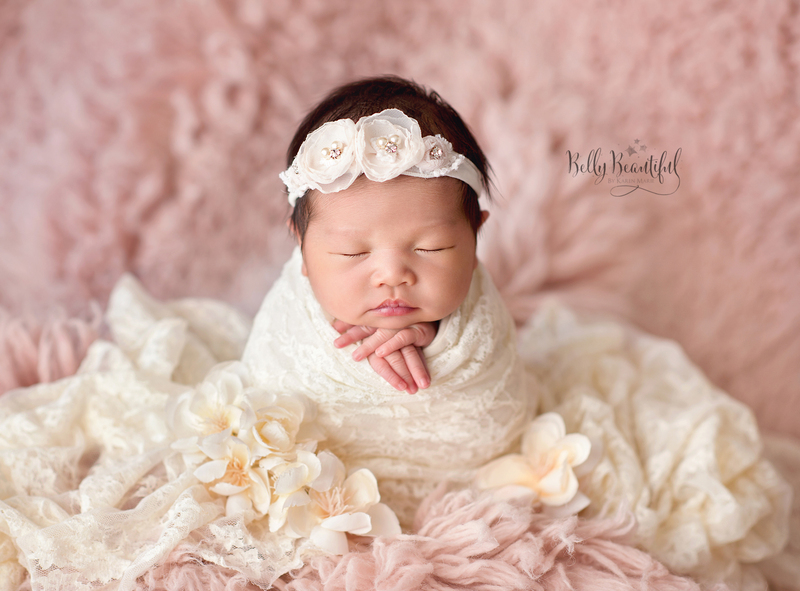 When it comes to taking a portrait of a newborn, don't limit yourself to plain old horizontal and vertical shots. 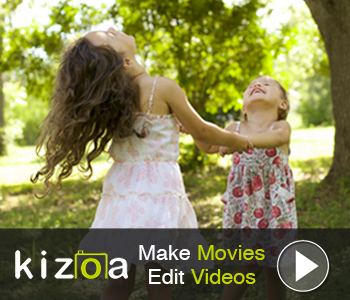 Instead, play around with different angles to increase the visual interest of the shot. For example, note how the image above is taken on an angle such that the baby is perfectly vertical but the bucket in which she sits is on a diagonal. This gives the shot a more dynamic feel because of the difference in the angles of the lines in the shot. In this example, the baby herself creates angular lines that give the impression that this photo was taken at a unique angle. The positioning of her body such that it creates a line from upper left to bottom right is a much more compelling way to view this beautiful baby than a traditional vertical or horizontal composition. 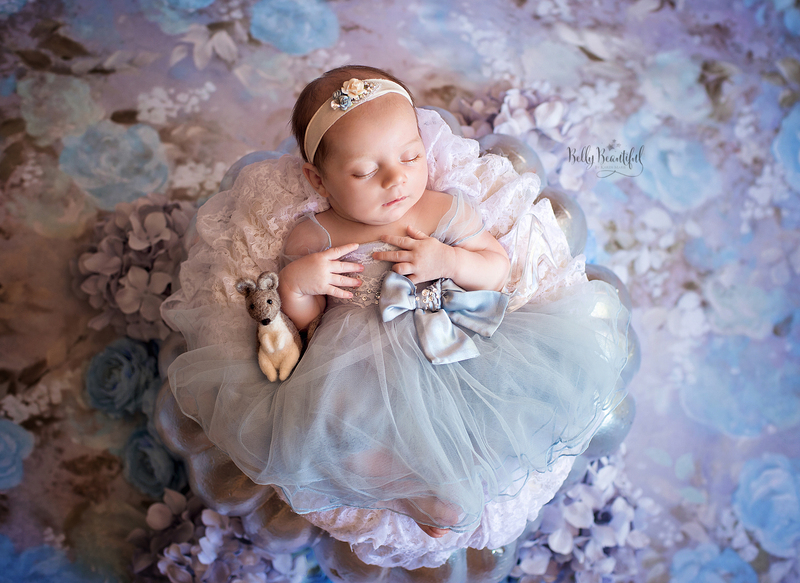 When composing your newborn photos, don't be afraid to break the rules of composition. Typically, a portrait benefits from shifting the subject left or right of center to agree with the rule of thirds. But as you can see in the example above, this photo actually benefits from breaking the rule. Notice how placing this cutie in the middle of the shot helps highlight the fact that she's sitting up on her own. And with the tasteful use of props around her, she's grounded in the shot, too. In this shot, you can see how a center placement works from a top-down perspective, too. In this case, the baby's wardrobe helps make her placement in the middle of the shot more successful. The gown blends beautifully into the background, and together they give the appearance that the baby is almost floating in the center of the shot. 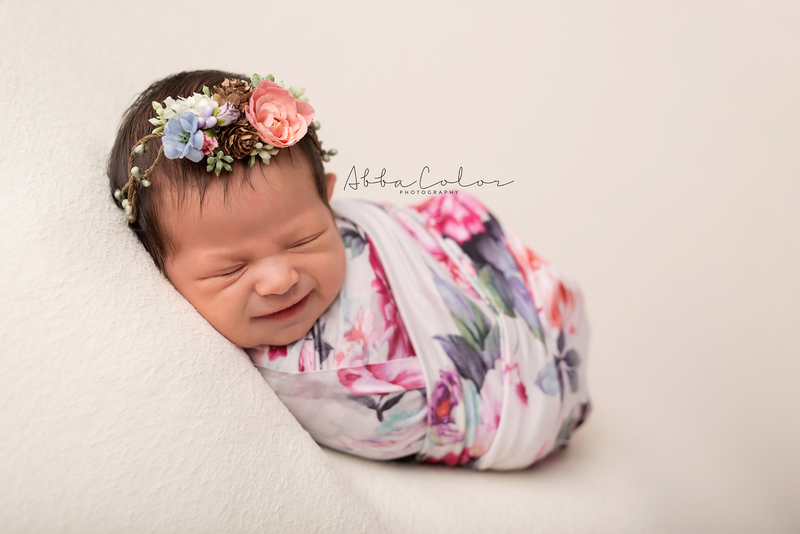 Just like with any portrait subject, newborns will give you a wide range of facial expressions over the course of the photo shoot. The trick, of course, is to be at-the-ready to capture those facial expressions when they happen. That's why it's important to shoot often. 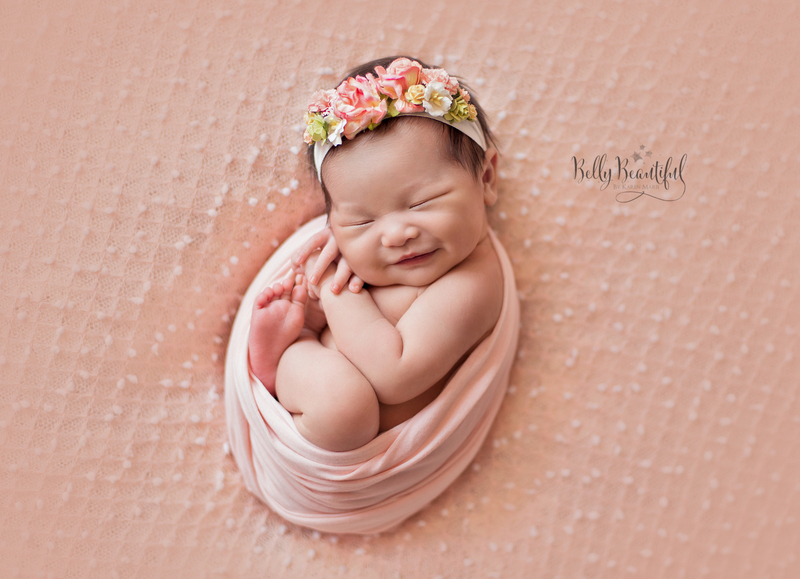 Keeping your camera ready to bring to your eye to capture that fleeting smile as the baby sleeps will get you rewarding shots like the one above. 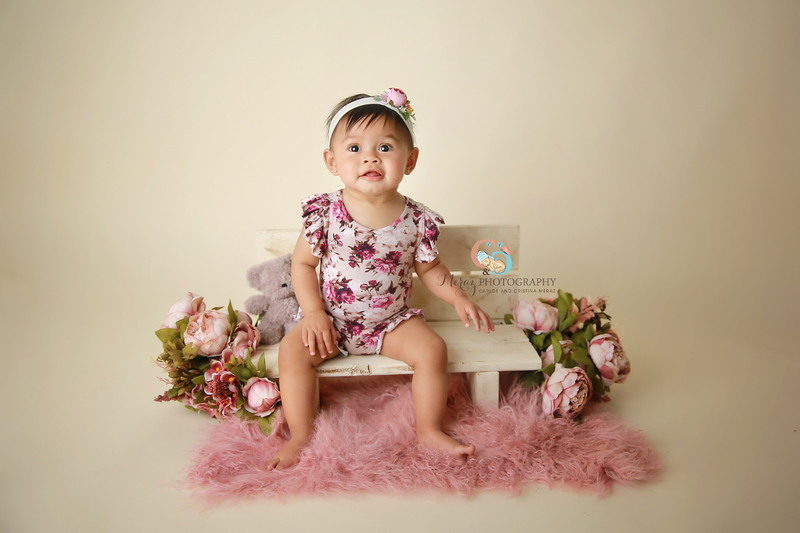 What's more, you also want to be able to capture those precious moments in which the baby is perfectly content, looking like the little angel she is. 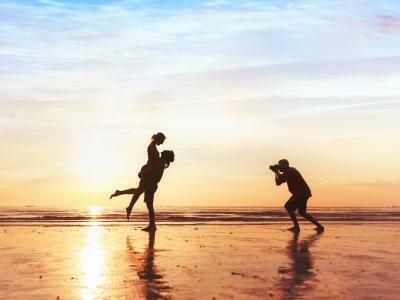 Again, this requires that you always be at-the-ready with your camera settings, lighting, props, and wardrobe choices all lined out, that way you can get the shots when the perfect moment occurs. Just one look at the beautiful little lady in the image above, and you can see the value of shooting often and always being prepared!